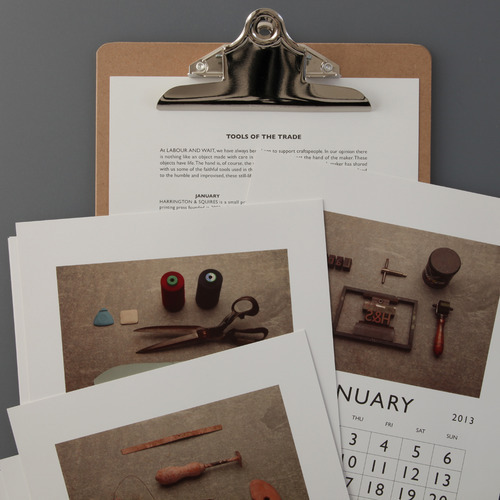 Our 2013 Calendar is now in stock online and in our Redchurch Street store. This year’s theme is ‘Tools of the Trade’. Each month features a still life composition of the tools used by the craftsmen and women who make some of our most popular products. There is a limited stock of these calendars, so make sure to order yours in time!